It seems we’ve just congratulated Costa Cruises on Costa Venezia float out (you can read about it here), and the cruise line has already given us new cause for celebration. has just got her lucky coin. 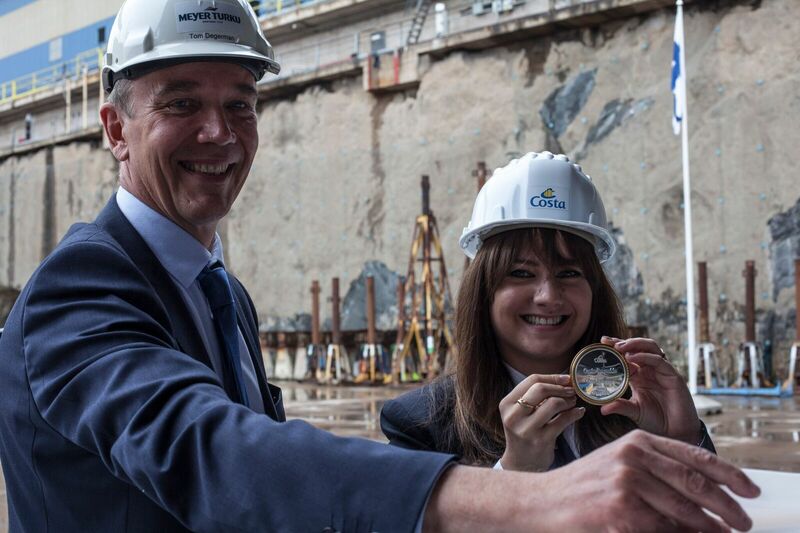 Besides, Costa Smeralda Coin Ceremony marked the beginning of the ship’s hull assembly. The 180,000-ton Smeralda is expected to join her fleet in fall 2019. She’s scheduled to depart on her maiden cruise on October 20, 2019. It will be a 15-day voyage from Hamburg to Savona. By the way, Costa Smeralda will get her sister ship in 2021. She’ll also be built at Meyer Turku shipyard. We invite you to check several pictures of the future representative of Costa Cruises. She looks beautiful, doesn’t she?